Am I a geek or just a plain nerd? I can't quite decide. My main machine is a small but perfectly formed 12" 1.33GHz Mac PowerBook but I have a quite a few computers in various places, there's an Athlon T'Bird 800MHz, a Cyrix 150MHz, an Amiga A1000, a ZX81 and an A1200 with 030 accelerator. There's also an Amiga Walker which is so special it's got it's own web pages. I once wrote audio software for the Amiga and then BeOS, it's all now open sourced and can be found at Blachford Technology. What could you do with them? Have a listen to The Chaos Engine who used Aural illusion. 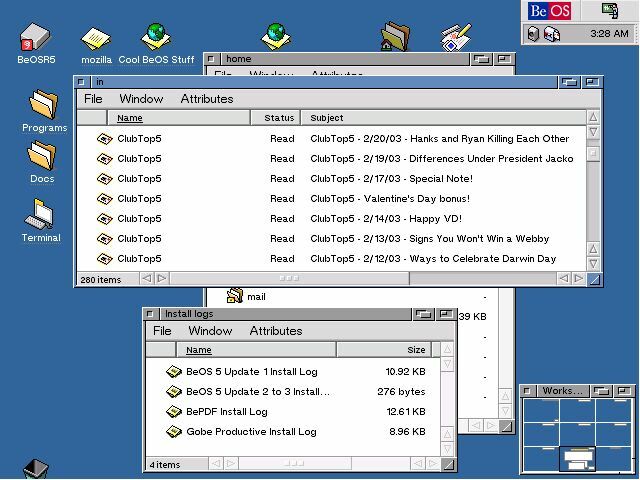 I set up a still running BeOS Audio / Music mailing list called be-loud. A Review of BeGeistert 008, a biannual BeOS get together in Germany. From back in 1999 is an idea for a BeOS powered Super-PDA which I suggested to none other than the great JLG himself! From around the same time is an interview in which I talk about what later became vapourware. BeOS having an identity crisis! As anyone who follows this never ending saga will know, I'm back in this part of the world working for Genesi who produce the Pegasos and MorphOS. 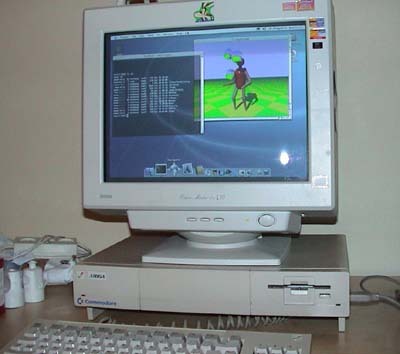 I once dreamed up ideas for a perfect series of Amigas, this was back in 97 and it's funny looking at them now as even a dirt cheap PC can now blow the best away. Also from 97 is an idea - to create an Open Specification so anything could be an Amiga. I was interviewed by Amiga online-club.de here and it's also been translated to German as well. 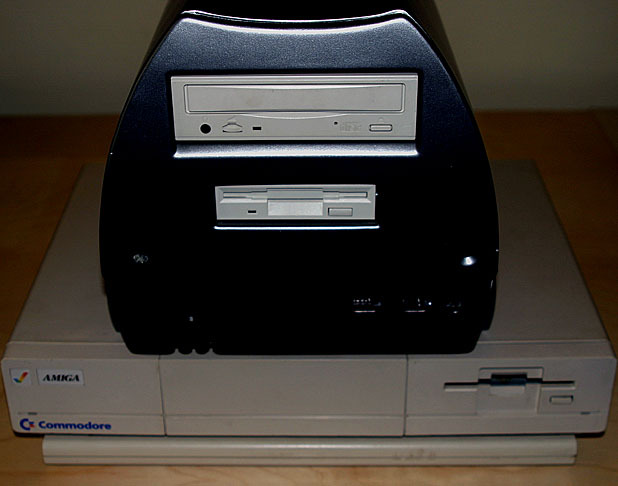 How about a 3D Workbench for your Amiga? You can find more (old) Amiga stuff in my Amiga Links page. I wrote an article on the 64bit Intel Itanium CPU on OSNews here. For those interested in chips I've listed some (now very old) SPEC ratings. My latest (1998) super-duper chip design - the Blachford B4. A close relative - the Blachford B3. My slightly older chip design - the Blachford B2. My very much older chip design - the Blachford B1c.